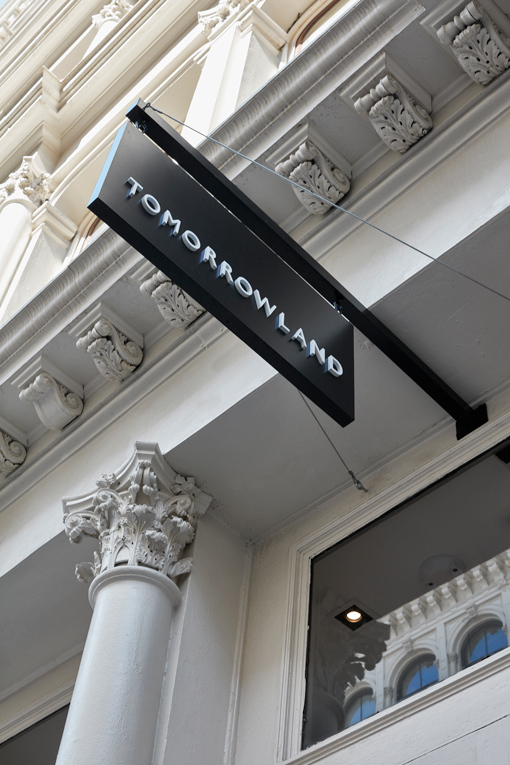 Based in the land of the rising sun, Tomorrowland is a leading high-end retailer with an impressive nationwide network of multibrand stores and brand shops. 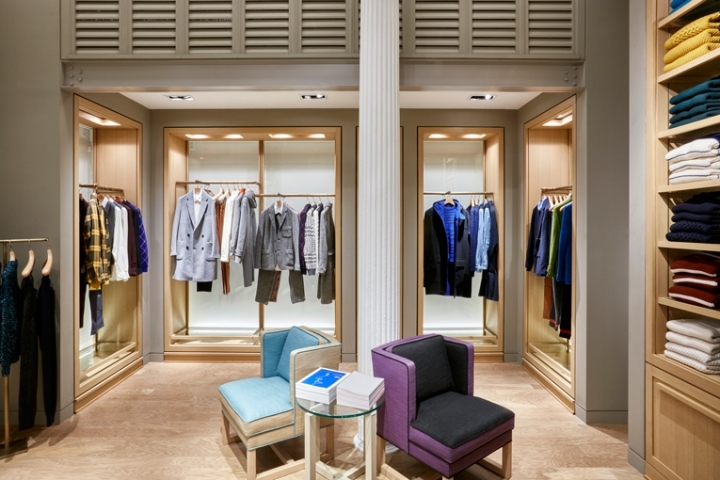 The company has always operated on home turf, but as of late it operates a new boutique in the heart of Soho. Situated on the ground floor of a six-storey structure built in 1920, it features a lofty 3,500 sq.ft. [325 sqm.] 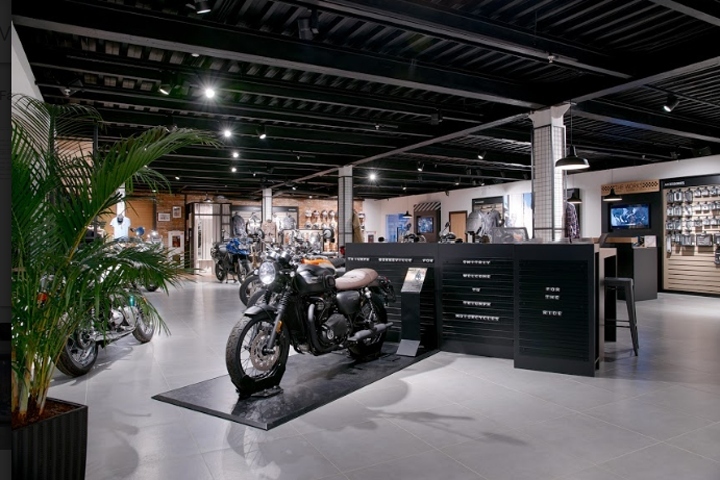 retail space which incorporates the building's original steel columns into a sophisticated setting by architecture practice tpg that aims to reflect modern japanese craftsmanship in a variety of pure materials. This balanced mosaic of wood, stone, glass and marble create is inspired by the aesthetic of Tomorrowland's stores back home. Hand-crafted furnishings and selected props are grouped in homey settings, while the natural oak flooring, inset with carpeting in oversized green and white stripes add a playful modern touch. An expansive glass roof in the back of the store allows in lots of natural light, and adds up to the airy feel of the store. the new Tomorrowland boutique creates three unique shopping experiences from front to back. 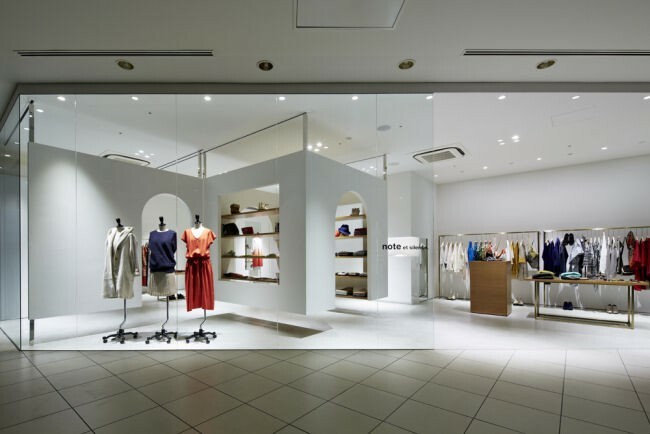 Upon entering the store, accessories are presented on full height metal fixtures with glass shelving and an open concept allowing views and natural light into the store. 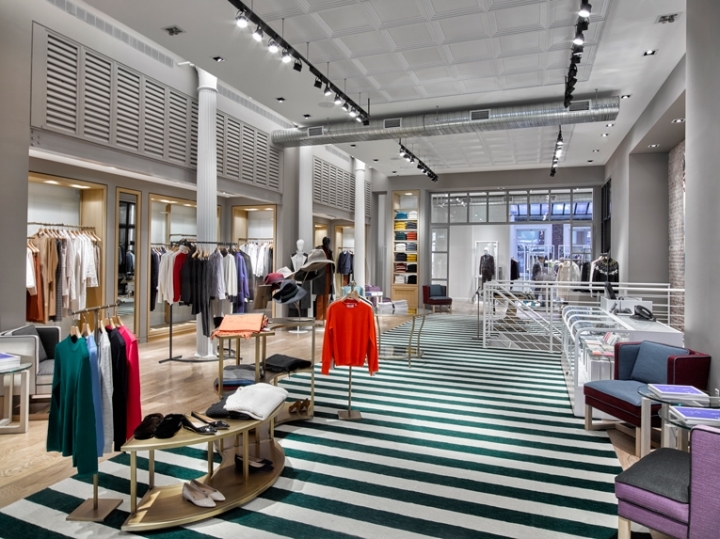 it's followed up by a space divided by a custom-glazed faux storefront system, creating an appealing platform for women’s and men’s apparel, and accessories. 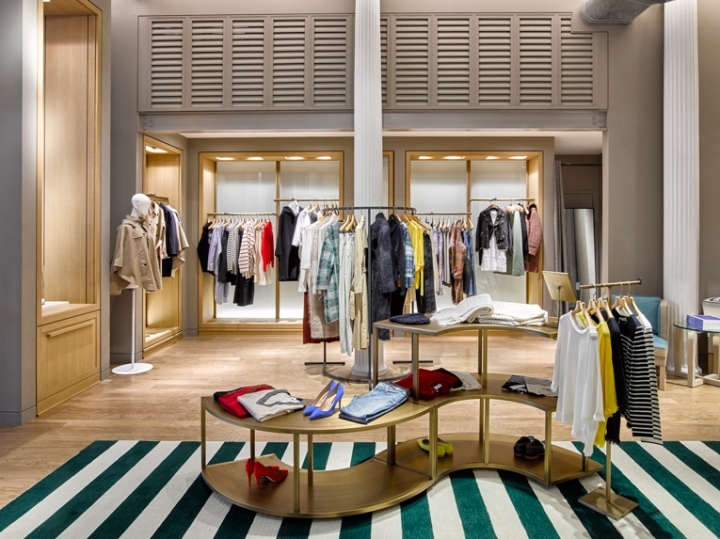 Last but not least, the store features a so-called white room, an exclusive private shopping domain with the highly personal service that comes with it. the boutique stocks a curated selection of Tomorrowland's very own high-end men's and women's apparel collections, in addition a range of compatible brands and items, ranging from apparel pieces by Jeanpaulknott and Knott Men and Satomi Kawakita jewellery, to bags and accecssories by Want les essentiels de la vie and Le Typographe stationery. The boutique timely opened during new york fashion week and founder hiroyuki sasaki especially flew in to attend the opening. 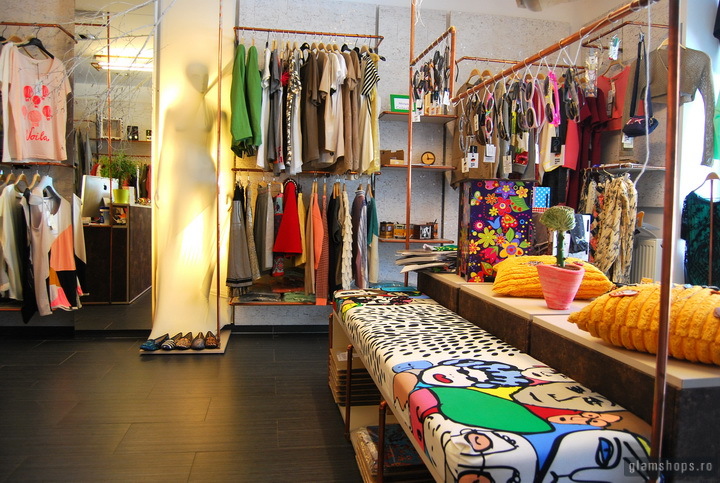 location: 476 broome street [soho].